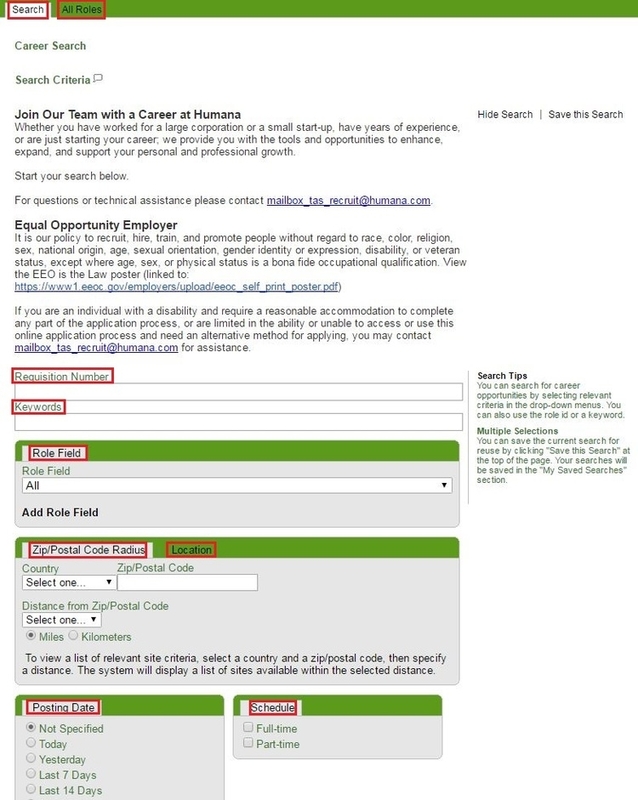 Visit humana.com/careers, then you need to click the “Search careers” button to find some suitable positions based on your personal experience and qualifications in Humana. 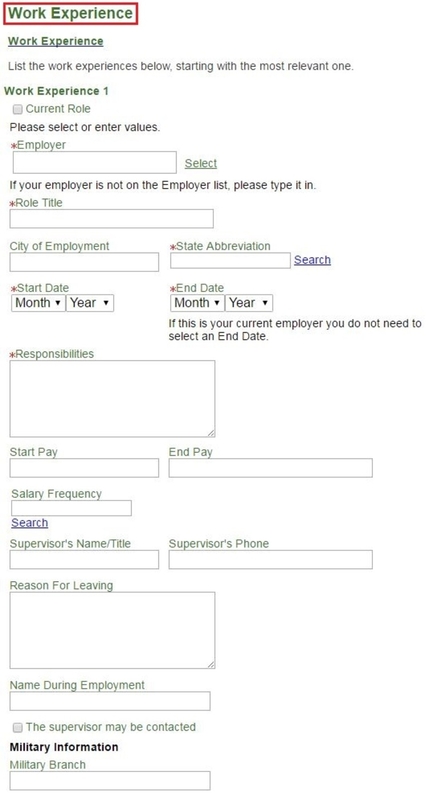 When you begin to search a job in Humana, there are two ways provided for you. On one hand, if you've already decided what kind of position you're going to apply for, you can enter your job keyword, chose the role field, location and any other available information. Then, you can click “Search” to find it directly. 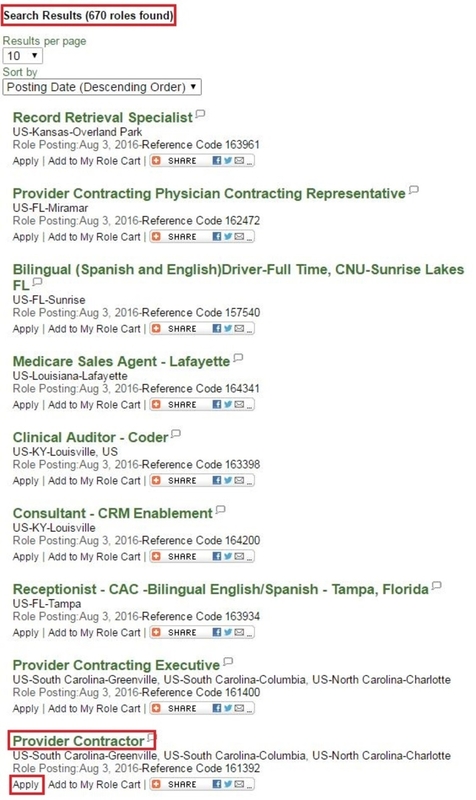 On the other hand, if you don’t know which type of job that is suitable for you, you can look through all job openings in Humana with the detailed job descriptions and then select one of them to start your application. The article will take the first method for example. After you've entered certain info, including role field, location, post code, distance and so on to search for suitable positions, several search results will be shown accordingly. Choose one and click "Apply" to go to the next step. Before you go further of your online application, you shall read carefully about the job description and then click “Apply Online” to continue. If you are new here, you need to create a new account. Or you can simply use the previous account you’ve registered before in Humana. When you've signed in, you will be asked to submit your resume and file from your local computer. You can review and edit detailed information in the next step. 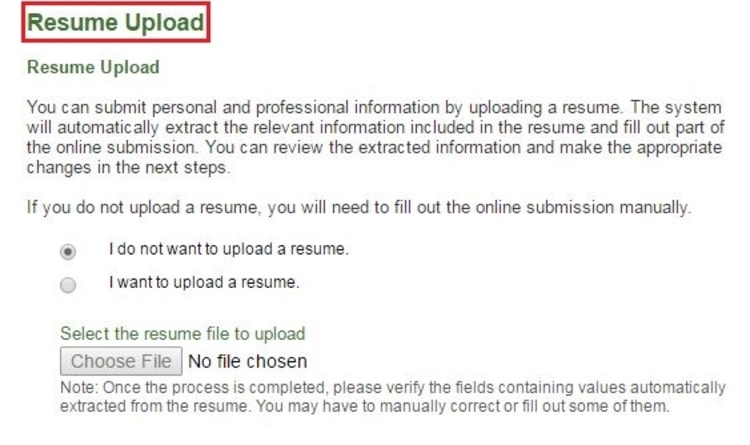 You can also fill out the online submission manually if you do not upload a resume/cv. 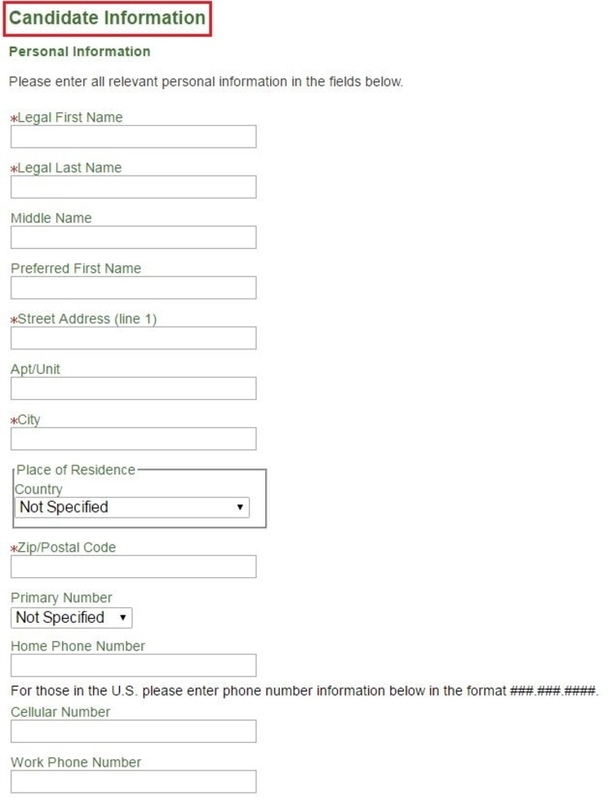 On this step, you will be required to offer some candidate information, which contains your legal name, address, contact number, ethnicity, gender and other necessary information. And you need to answer some questions about your basic eligibility of working in the United States and federal government or military serving experience. What’s more, you need to indicate your self-identification of disability and veterans status with information of this job opportunity. On this session, you are required to provide information about your work experience and education background to the interviewers, which may in large part decides your rate of being hired. If you have obtained some worthy and valuable certifications and licenses which are relevant to your application and have not expired, you are permitted to provide some detailed info of these licenses in this step, including the license number and date. 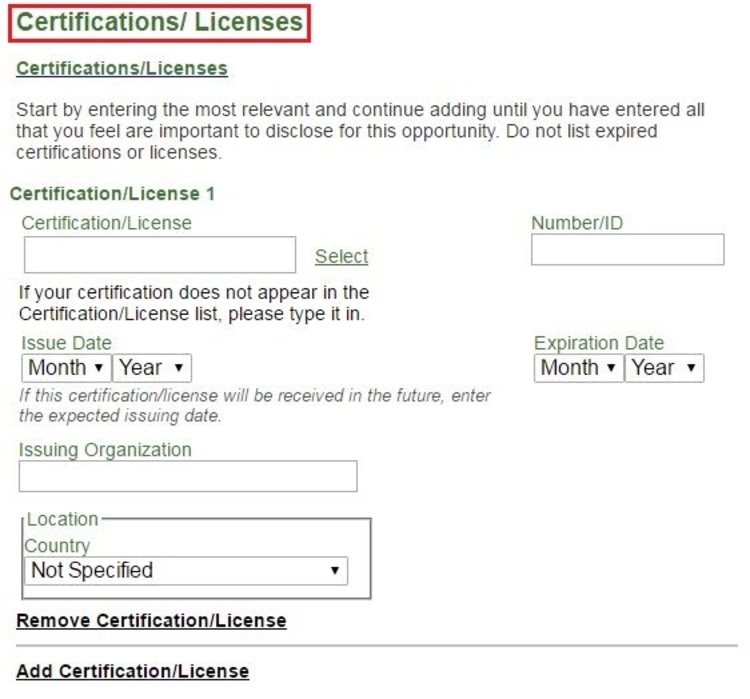 If you are certain that you will receive a certification in future, you can enter the expecting issuing date. 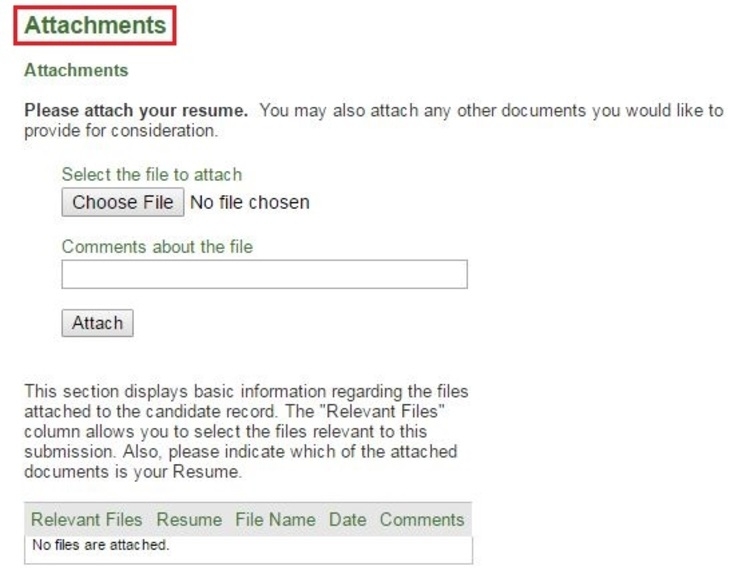 In addition to the submission of your personal resume, you can also attach some important documents that you would like to provide for consideration. And you can also indicate these kinds of documents in your resume. When you’ve done all these, you can submit your online application after you sign your name and provide your social security number if you are quite sure that all information provided is right. Click humana.com/careers to apply for Humana jobs online.